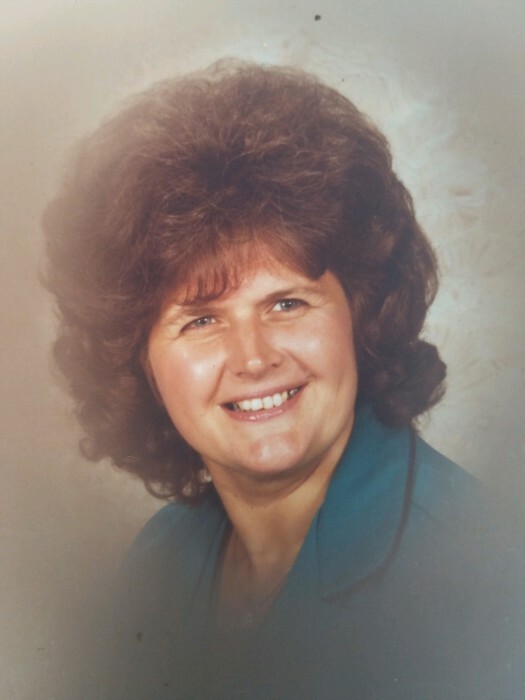 Delores Johanna "Dollie" Giauque, age 80, of Killbuck, Ohio went home to be with the Lord Friday, August 31, 2018 at her home surrounded by her loving family, following an extended illness. Friends may call from 6 to 8 p.m. Monday, September 3rd, at Berlin Christian Fellowship Church. Funeral services will be 11 a.m. Tuesday, September 4th, at the church with Pastor David Stutzman and Daniel Jensen officiating. Burial will take place at Wolf Creek Cemetery, Killbuck, Ohio. Arrangements are being handled by Alexander Funeral Home, Millersburg, Ohio. Family suggests memorial contributions be made to the Berlin Christian Fellowship children's ministry. Delores was born February 4, 1938 in Scottsbluff, Nebraska and was the daughter of Alfred and Hildegard (Dehmel) Jensen. On July 2, 1971 she married B. Franklin Giauque and for over 47 years shared a life in partnership and love. Delores was a 1955 graduate of Mansfield City High School. She attended several Bible colleges, later receiving a Bachelors of Arts Degree in education in 1966 from Azusa Pacific University. She taught school across the country in California, New York and Ohio. Delores was a member of the Berlin Christian Fellowship Church, where she taught Sunday School for many years. Delores dedicated her life to the Lord at an early age and was passionate about sharing the love of Jesus wherever she went. She loved working beside her husband on the family farm and lovingly attended to her families needs. She was gifted with a talent in art and was well-known in schools for her animated story-telling and magic tricks. She also led many youth in Bible studies. Surviving in addition to her husband are three daughters, Pamela (Timothy) Conn of Mansfield, Ohio, Darletta Giauque of Millersburg, Ohio and Deborah (Nathan) Bell of Killbuck, Ohio; her extended children, David Giauque of Brinkhaven, Ohio, Sharon Gilley of Killbuck, Ohio, and Karen Nienhuis of Michigan; grandchildren, Clarissa Giauque, Makayla Giauque, Natasza Bell and Victoria Bell; extended grandchildren, Benjamin Giauque, Brian Giauque, Melissa Cronin, Elizabeth Smith, Adam Nienhuis, and Amanda Rigdon; as well as many extended great-grandchildren. She is also survived by a sister, Ruth Orewiler of Mansfield, Ohio; and her twin brother, Daniel (Evelyn) Jensen of Texas. Delores was a very beautiful, woman of God. Her family is looking forward to the day they will meet again. Thank you for all of your thoughts and prayers for the family. Her family welcomes you to attend the ceremonies at Berlin Christian Fellowship.